Our friends at Cage Potato have come up with some great shirts in the past, but this one may be my favorite. 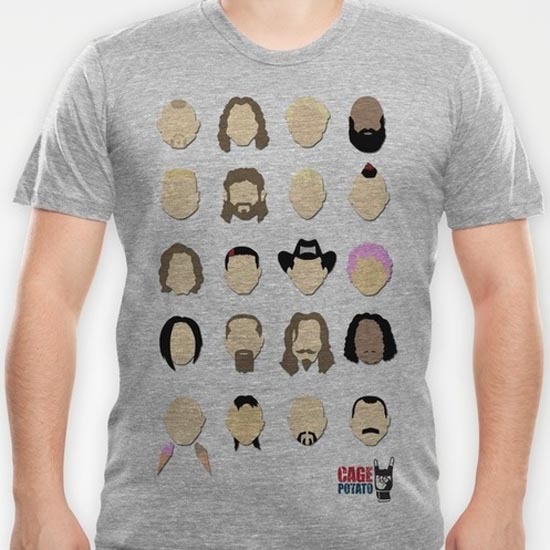 They worked with illustrator Derek Eads to come up with a shirt that shows off some of MMA's best hairstyles. From Roy Nelson's mullet to Fedor Emelianenko and his ice cream cones, this shirt captures many of MMA's best looks. It can be yours for just $22. You'll be the coolest kid on the MMA block.